Beyond coffee and pastries, critics say Dunkin’ Donuts has come up with another way to make a profit: Pressure franchise owners into paying hefty penalties and legal fees. In an unusual tactic for the franchise industry, Dunkin’ pushes operators to pay penalties and sell their stores or face losing their franchise rights. The fines can run into the hundreds of thousands of dollars and include the cost to pay for Dunkin’s lawyers. Between Jan. 1, 2006, and Aug. 21, 2009, Dunkin’ was involved in 356 cases against its franchisees, the vast majority of which were filed by the company. At the end of 2008, the company had 2,250 US franchisees. Dunkin’ in a recent settlement proposal with one franchisee called for the small operator to pay more than $500,000 in penalties, including a “transfer fee” that Dunkin’ would pocket when the franchise rights are sold. “Dunkin has decided that there’s a smarter, more efficient way to increase revenues and that is to find and target franchisees that are vulnerable,” he said. 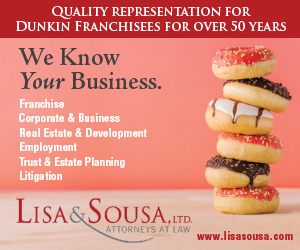 Last year, the largest association of Dunkin’ franchise owners, the DD Independent Franchise Owners, called Dunkin’ “the most litigious” franchise system in the country. A Dunkin’ spokeswoman said, “We conduct our business with uncompromising integrity, with no tolerance for unlawful behavior. 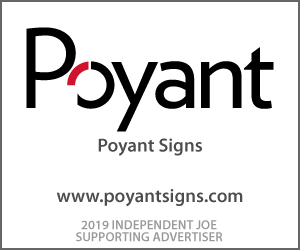 As a 100 percent franchised company, everything we do is always with great respect for our relationship with our franchisees. The coffee chain has long had a reputation for hauling franchisees into court over everything from employing illegal immigrants to underreporting royalties. In the last year, however, sources said Dunkin has pushed to settle more cases out of court, which has some critics questioning whether the goal of the litigation is to improve operations. 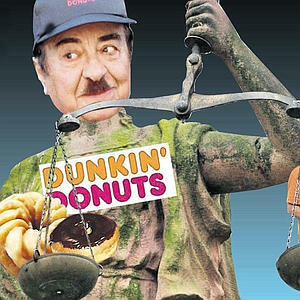 Indeed, franchise operators and attorneys that have tangled with Dunkin’ argue the legal squabbling is less about protecting the brand and more about making a profit.